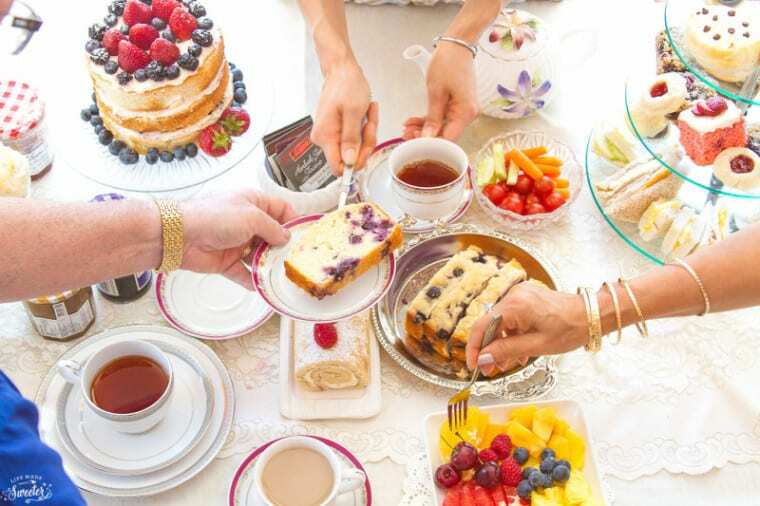 Disclosure: I created this post in partnership with KitchenAid and received the mixer and bakeware to create the recipes you see for this Summer Afternoon Tea Party series. As always, all opinions are 100% my own. 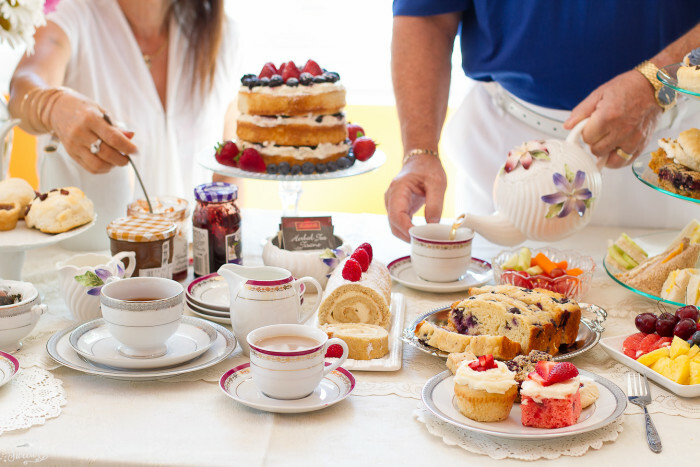 Have you ever wanted to host your own afternoon tea party? When I was younger, I loved any excuse to have a pretend tea party. 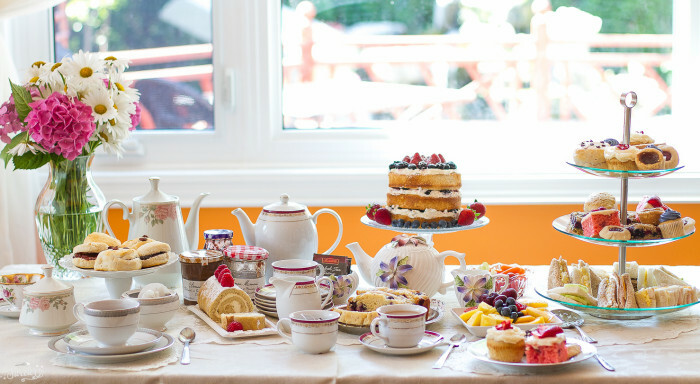 It was so much fun getting to dress up and set the table with my pink plastic tea pot and cups. 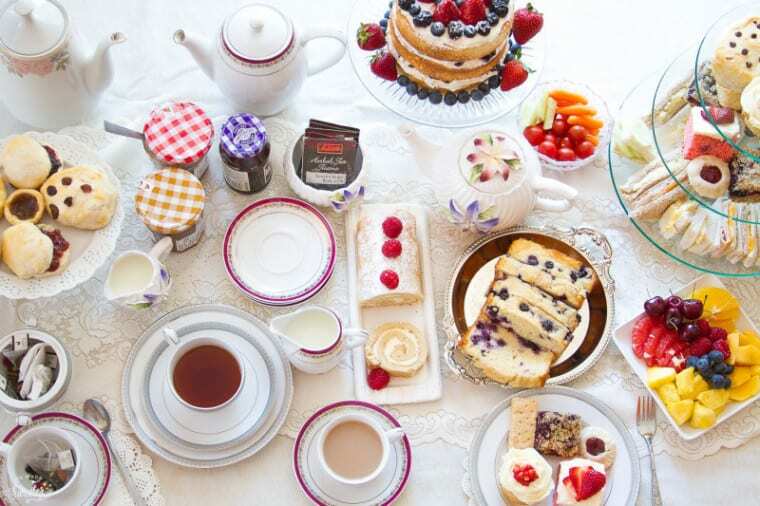 I’ve since had the chance to attend a few afternoon tea services where I live as well as in London, England when I visited a few years ago and it’s always such an enjoyable experience. It’s also a wonderful way to celebrate a birthday, bridal or baby shower and any time you feel like hosting a gathering to catch up with good friends. Keep it stress-free by purchasing some items and make a few of your own if you’d like. 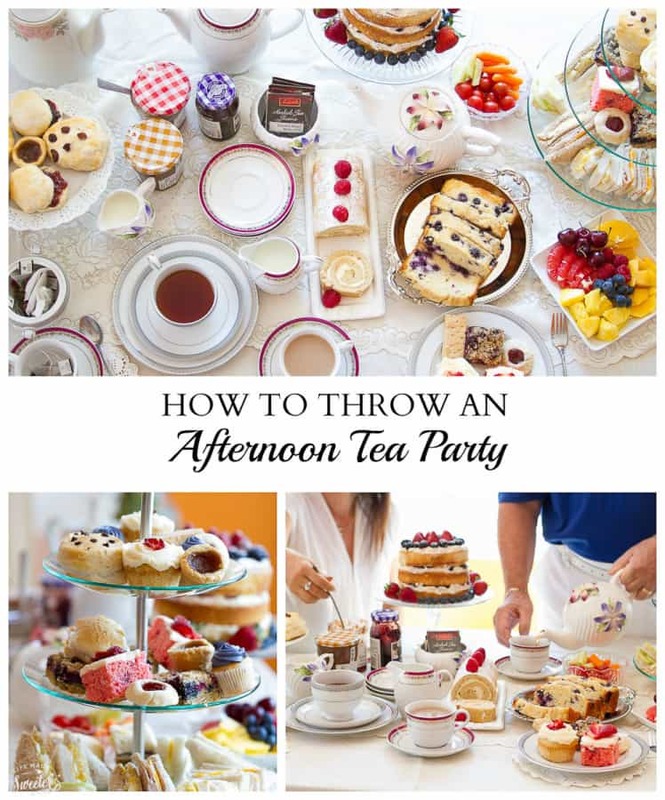 I threw my own afternoon tea party last month for some friends and family and today, I’m sharing a few tips and recipes in case you plan on throwing your own before summer’s over. 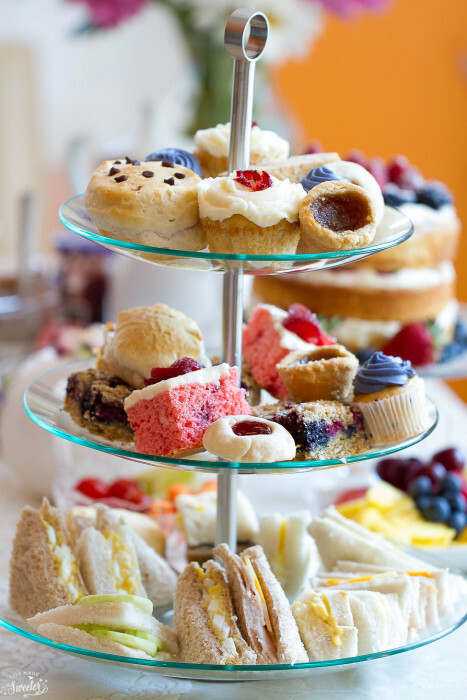 Traditional Afternoon Tea is typically served from mid to late afternoon and often includes an assortment of small finger sandwiches, scones or biscuits with jam plus a variety of sweets and tea. 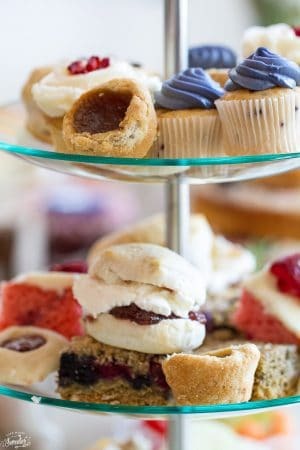 These can all be made in advance and if you set up everything as a buffet, it allows your guests to easily serve themselves. Plates and bowls: Set your table with a nice white table cloth and lay out a mixture of decorative plates to set the scene. You can grab a matching set or mix and match with a few complimenting patterns. 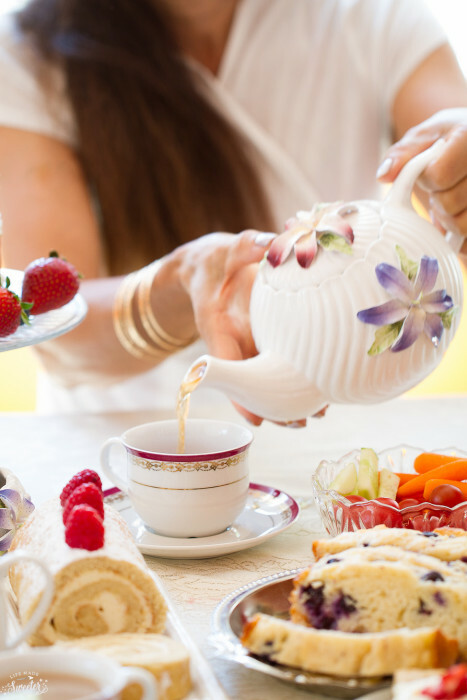 Tea pot and tea cups: It’s nice if you can have several tea pots out so your guests will have the opportunity to brew a variety of teas served in decorative tea cups. Tea: An assortment of loose leaves and tea bags plus other drinks including hot chocolate, coffee or champagne, if it’s a special occasion. 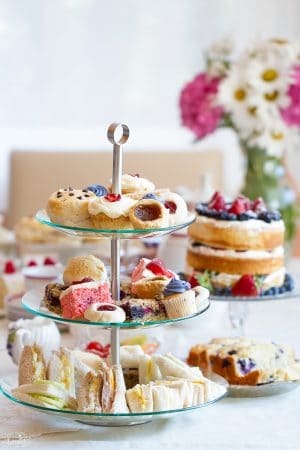 Accompany the tea selections with cream, sugar and lemon slices to accommodate the varied tastes of your guests. 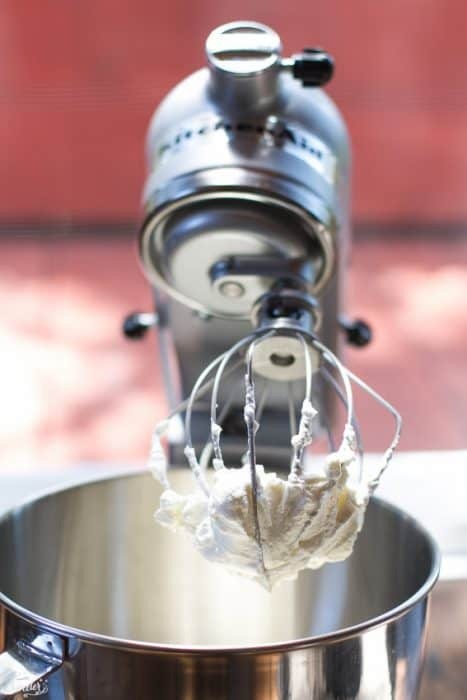 Cutlery: You’ll need everything from a cake knife to teaspoons for stirring in the cream and sugar. Napkins and doilies: An assortment of napkins for mess and doilies for decoration. 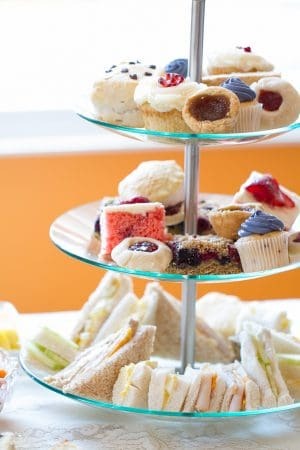 Three-tiered cake stand: Cake stands are a great way to display the three “courses” by allowing your guests to easily pick and choose while making them look extra fancy. A large serving plate would work just as well if you don’t have one or you can always make your own. Flowers: Make your spread look fresh and vibrant by adding pretty flowers to the mix. Music: Set the tone with some soft music playing in the background. Dress Up: Have some fun and wear a pretty outfit along with your favorite jewelery. 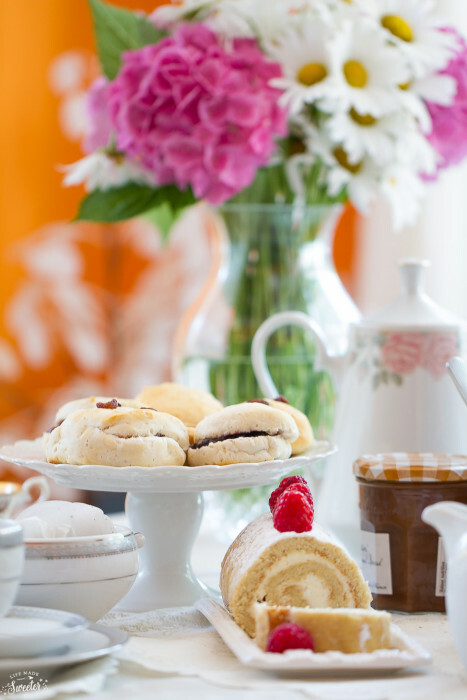 Afternoon tea just wouldn’t be the same without some light and fluffy scones. 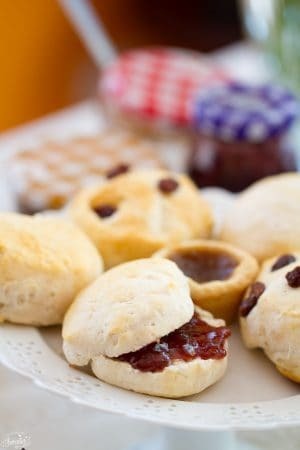 Don’t forget to leave out some cream and a choice of jams for your guests to choose. Have a few different sandwiches set out that require minimal effort. You can purchase different types of breads, remove the crusts, add your filling of choice and then cut them into small rectangles or triangles. 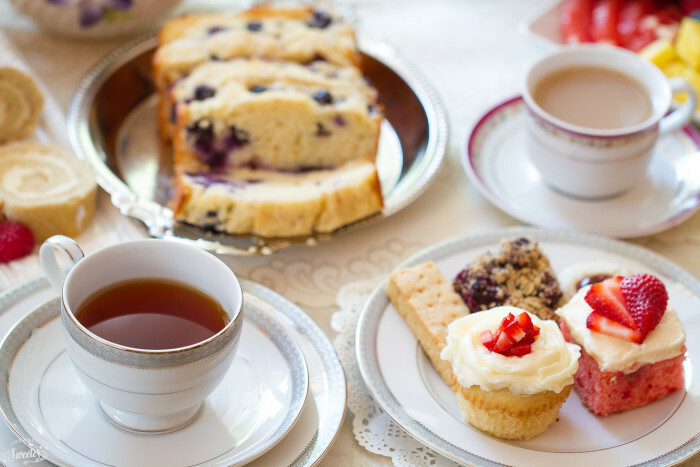 Tea and biscuits go hand in hand – you can try adding some shortbread and thumbprint cookies to the spread. Having a good mix of delectable treats is always fun for the guests. You can purchase some from the bakery or make a few of your own. 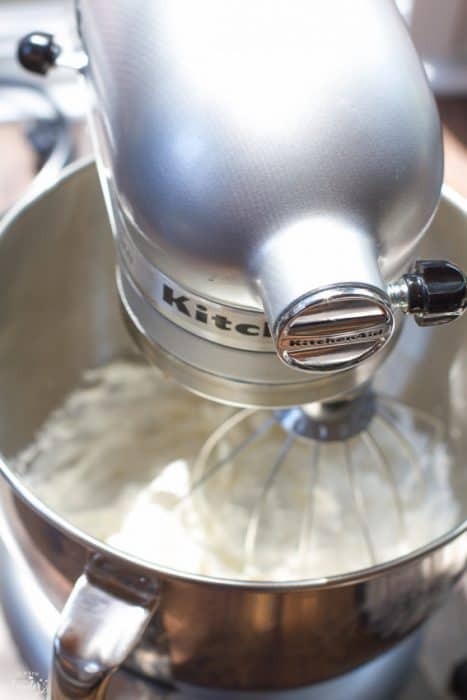 Thankfully, it didn’t take too long to whip up a few of the desserts in advance using my KitchenAid Artisan Stand Mixer and nonstick baking pans I received from KitchenAid back in June. 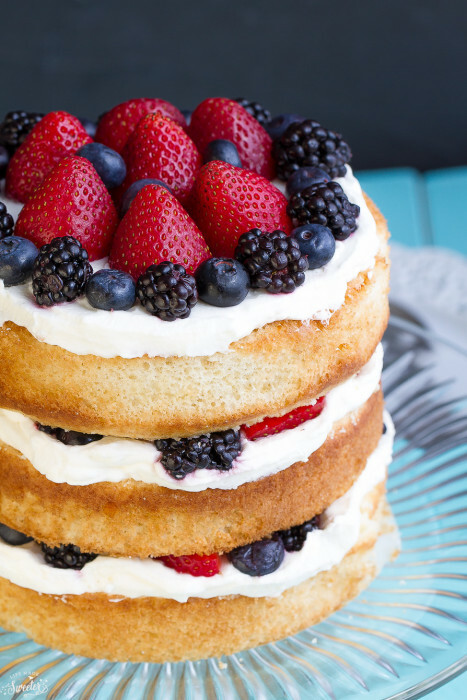 Makes an impressive centerpiece using fresh berries and cream. 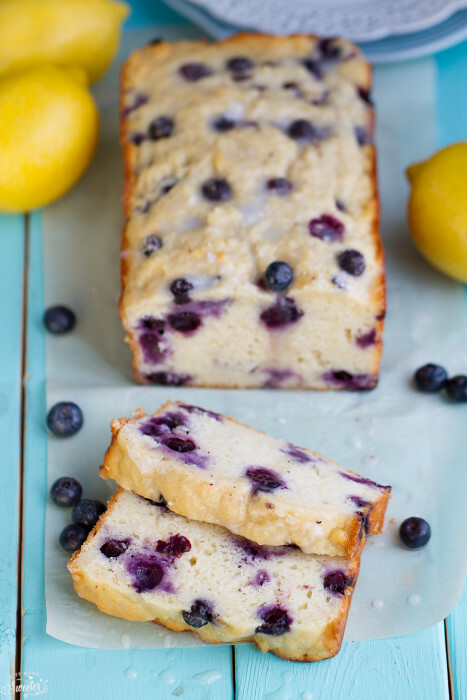 A light and refreshing quick bread loaded with fresh blueberries and bursting with lemon. 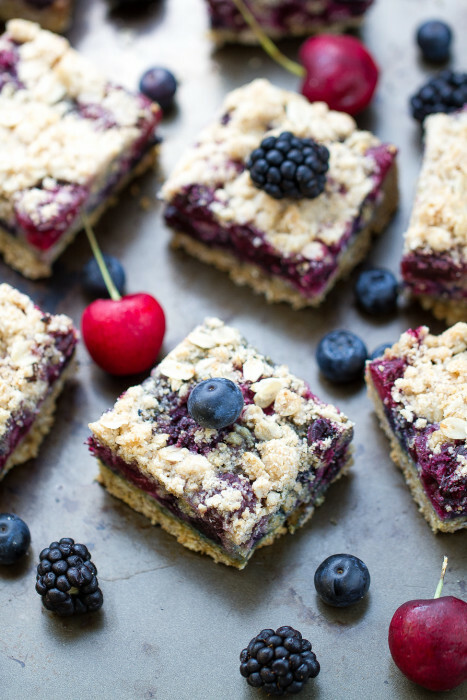 Buttery oatmeal streusel squares with fresh cherries and mixed berries make a delightful addition to any dessert spread. 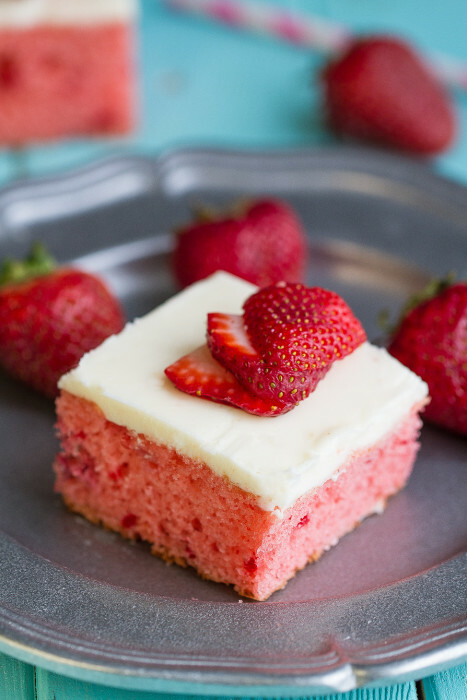 Made with fresh strawberries and topped with a cream cheese frosting, the pretty pink color is the perfect way to brighten up your tea table. 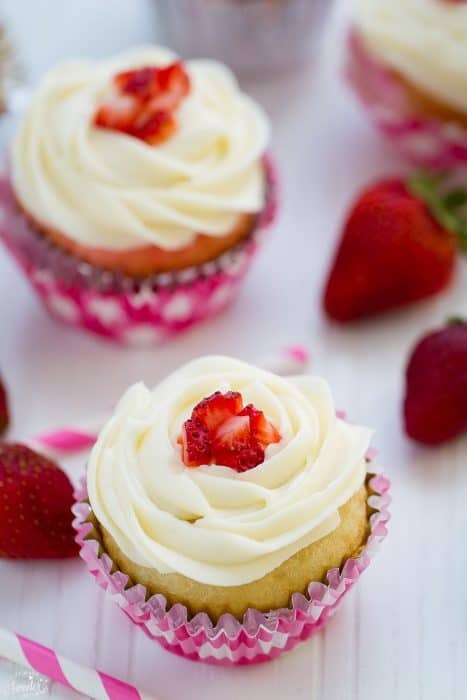 Light and fluffy vanilla cupcakes topped with creamy vanilla buttercream and fresh strawberries. 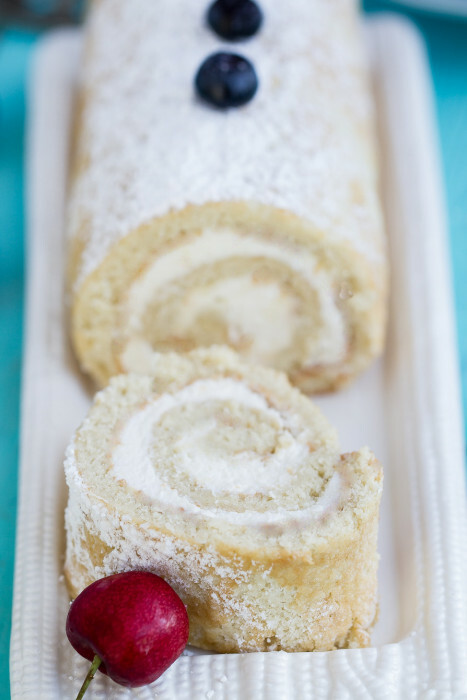 A simple vanilla cake roll filled with a creamy vanilla mascarpone filling makes an impressive and light dessert.